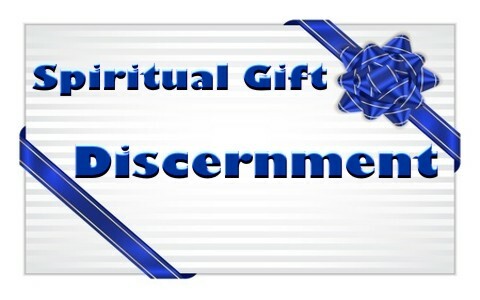 What Is The Spiritual Gift of Discernment? How Do You Know If You Have It? What is the gift of discernment? How do you know that you have it? How does this gift help the church? Someone with discernment must be able “distinguish good from evil” but “their powers of discernment” come through diligent training and that training in the Word of God. The more someone knows the Bible, the more they will be able to discern truth from error and good from evil. This is what Paul essentially wrote about in Philippians 1:9-10 “And it is my prayer that your love may abound more and more, with knowledge and all discernment, so that you may approve what is excellent, and so be pure and blameless for the day of Christ.” It is easier to approve of what is excellent or truthful and free from error if you have discernment but this discernment comes from experience and from biblical knowledge, but ultimately it is a gift of the Spirit. Even so, the better you know the Word the more you’ll be able to “test the spirits to see whether they are from God, for many false prophets have gone out into the world” (1 John 4:1). If a person is consistently in the Word of God they can acquire discernments skills since “the word of God is living and active, sharper than any two-edged sword, piercing to the division of soul and of spirit, of joints and of marrow, and discerning the thoughts and intentions of the heart” (Heb 4:12). Solomon was one of the wisest men to have ever lived and he knew where true discernment came from and so he asked God “Give your servant therefore an understanding mind to govern your people, that I may discern between good and evil, for who is able to govern this your great people” (1 Kings 2:9) and God answered Solomon’s replying since “[you] asked for yourself understanding to discern what is right” (1 Kings 3:11) God said that He would give it to him. The Psalmist also knows where discernment comes from as he prayed to God “I am your servant; give me discernment that I may understand your statute” (Psalm 119:125). Any nation that ignores the Word of God cannot have discernment because as Moses wrote about one such nation, “For they are a nation void of counsel, and there is no understanding in them. If they were wise, they would understand this; they would discern their latter end” (Duet 32:28-29). It goes without saying that a pastor needs discernment, not only for his own sake but for the sake of the church. The more the pastor studies the Word of God, the better he can discern teachings that are contrary to God’s Word. Also, Sunday school teachers who are looking for future Sunday school lessons must take great care in examining any new and prospective lessons. These lessons must be placed against the Bible to see if there is anything contrary to what the written Word says. Church leaders, pastors, elders, deacons, teachers, and in fact all church members must take great care to discern truth from error but some people have this spiritual gift given supernaturally by God and God gives this gift for the good of the church. Remember that’s the main purpose for spiritual gifts…they are not for the individual but for the edification or building up of the church. We have already read that discernment comes from God and the Holy Spirit, so if we are sensitive to the Spirit and we are well versed and skilled in the Word, we can know when something isn’t quite right. It sometimes stands out clearly while at other times it may be more difficult to discern but discern you must. Those who have the gift of discernment are valuable to the church because they can help steer the church through the minefields of false teaching materials and false ministers that are increasing in numbers these days. These wolves are trying to and successfully infiltrating the churches today. It is so important because we know that Satan has his own ministers and they can fool many as they can appear as an “angel of light” (2 Cor 11:4). In 1 Corinthians 12:10c says that some have “the ability to distinguish between spirits” or have discernment between the spirits. What does this mean? It likely means that a person with the spiritual gift of discernment can distinguish works, writings, teachers, or teachings influenced by the Holy Spirit and those from an evil spirit. Where it says “to distinguish between spirits” we see that it is plural so we know that there’s more than one spirit involved. We also know that there are wicked spirits out there because “we do not wrestle against flesh and blood, but against the rulers, against the authorities, against the cosmic powers over this present darkness, against the spiritual forces of evil in the heavenly places” (Eph 6:12). Do you have an unusual ability to read between the lines? Do you have an uncanny ability to sense something isn’t right? Are you able to uncover false teachings fairly easily? Do you have a great hunger for biblical knowledge and teachings? Are you able to discern the truth from a lie? Jesus warns us to “Beware of false prophets, who come to you in sheep’s clothing but inwardly are ravenous wolves” (Matt 7:15). Can you spot a wolf in sheep’s clothing with no problem? The fact is that “many false prophets will appear and deceive many people” (Matt 24:11) and in fact, they already have appeared and have already deceived many people. Peter’s prediction has come to pass as he wrote “false prophets also arose among the people, just as there will be false teachers among you, who will secretly bring in destructive heresies, even denying the Master who bought them, bringing upon themselves swift destruction” (2 Pet 2:1) and Paul adds “For such men are false apostles, deceitful workmen, disguising themselves as apostles of Christ” (2 Cor 11:13). That time has come and today the wolves are out there, many behind the pulpits and that is why the spiritual gift of discernment may be one of the most important of the gifts of the Spirit that there is. Read about another Spiritual gift: What is the Spiritual Gift of Mercy? Thank you so much Jack Wellman for writing this article. I just discovered today that I might have the spirit of discernment and its at the very early stages. I now have to develop this gift. So many events have arisen for me to realise this. God’s power is truly wonderful and amazing. I pray that he continually does his works in me so essentially I can help the body of Christ. Good to know. The Bible teaches that all our spiritual gifts are intended to help the Body of Christ and to glorify God and I pray you do both, if you haven’t already done so, which I would imagine that you probably already have! Thank you Anita for your kind words. I’ve been a Christian a long time – 35 years. I’ve studied, and memorized verses, and so on… My gift of discernment is very sharp. Time after time, even over the internet with people I’ve never met, I can tell what their situation is or interpret what they mean picking through it with ease. Let’s just say on more than one occasion, I’ve been accused of comments like “How could you possibly know that?” and “you don’t know me”… With friends, I…well, I have very little close friends because I do this and it hurts people’s feelings. At the same time, I equally also have mercy as a spiritual gift. So I feel everything acutely. I feel everyone’s pains and emotions… maybe that’s why the both of them are so developed? This is the first time I’ve reached out to anyone to really talk about my own feelings about this topic. I’m not a complainer-kind of person. (Like I said, I’ve never spoken about this before.) But, as much as these gifts are a blessing, they also are a curse. I cannot rein them in when I see something wrong, I have to say something or it’s just going to eat at me. Especially in today’s society, nobody wants to know the difference between right and wrong. That makes me the bad guy. Even with true Christians that I’ve come across (not all, but some), they don’t want to know about the bad because they’re in a bubble. Where or when do I get support? Other than the Bible, that’s all I’ve learned to trust. But interaction with people? A lot of times it doesn’t end well. So I try to suppress it because i don’t know what else to do. I just need to talk about this. Thank you. I am not sure if I have that discernment gift developing or not. I have also gift of mercy. 11 years since I gave my life to Jesus Christ. Recently I met a woman who is a psychologist and at some point we got into discussion about God. I told her about my faith and her smile went away (she had this huge fake smile all the time and a very sensual spirit) after that suddenly a cold intense wave was upon me it caused me a kind of panicky feeling. For a moment I could not even think. And all I wanted to do was to leave. But I prayed silently Lord Jesus help me, deliver me from this. That helped. I am sure that it was some kind of entity. This has happened today again at a hairdresser: When I walk in the room the women are talking bad about Christians. Then the other hairdresser was gossiping and it was really hard to listen to, all kinds of nasty details. Then there was that pressuring nasty feeling that was provoking me to get upset and leave but I prayed and focused in Jesus. Then there was peace at the parlour. I was a bit unsure whether to go there, I knew something was in there that time but I asked to be led and then I decided to go there. I have a thyroid illness that is causing me sometimes weakness and tiredness. I am sure that the spiritual world knows this and the attacks feel bad because I am at that time very weak. Maybe God is teaching me to rely on Him alone. We need to obey God rather than people. If you are pleasing God the world will hate you and you will be persecuted. Rejoice and be glad. I pray that you will meet nice Christian sisters and brothers who support you. Hello I also have the Spiritual gift of descernment and to be honest it has not been easy , When ever I get a vision or a word for somebody they act a certain way then probably feels a certain way has they wonder how would you know that I now just pray about whatever I dream and write them down then when I see it come to pass I give God thx .Sometimes I wonder why me but I am great ful for this gift just wish I could also meet a descerner like myself who understands . ” I am still growing in my gift . Every blessings I love this article . I understand what you mean. my gifts are not fully developed, but I agree and understand. Yes it is lonely. In church people say we are the body of Christ all members, but when people try to shed light on something that is very wrong, then you are outcast. Hello all, I have seen people doing false prophesying and i could even sense they are blabbering about what they had in their mind. I am not sure that I have the gift of discernment but i definetly know that God started using me for his work. sometimes i find my own relatives prayers were essence less and after completing their prayer they ask the person whether he/she believe that he/she’ll be healed. They even say touch me now you can feel the heat of the Holy spirit. At that time we cannot say that nothing happened truly. They even categorized the people who has the gift from GOd. (I am like a young girl and you are now a baby.) But my present days have been completely changed, whatever i think wrong I’ll get a verse from the Bible. I find that the Holy Spirit is communicating with me. I never wish to tell this to all. but when i found this blog, i realized that i have been a silent learner. Even if i say that a person is a false prophet they are warning me and defending me that ” who are to judge others?? ” I sometimes thought that i may be wrong but later i clearly understand that the false prophet is not my personal enemy but i am getting angry on him and this words come in my mind ” wolves in sheep’s dress” . I believe that I have this gift and it was confirmed I do by someone else who has it too and to whom I didn’t tell anything to. The Lord shows me if someone is yielding to a wrong spirit, most of the time I see it in their eyes or superimposed over their face. Sometimes I hear it in their voice. I have also seen the” light” of the Lord in some beleivers eyes or as a glow on their faces. Many times I pray about what I see and only warn the person if the Lord opens the door to share it with them. This gift has helped me realize times when a person is saying something that is influenced by a spirit and therefore not receive what they say. We are soldiers and this giftes are for resisting and taking our stand and ocupying till he comes but greater than this all is the gift of wisdom through which we apply our gifts in other to optain maximum result in the furtherance of God’s kindom. I am not sure what discernment is? Just looking at it in the natural there is a natural discernment and there is a discernment that comes from being in God’s word and life experience but when it goes beyond what is natural for me then the hand of God is in it. I had an experience (one of many) where I was talking with a woman I had never met, It was one of those times when that calm was present that speaks of God. As I was talking with her I was noticing things that were very natural in the natural, but to a depth that was not natural for me, everything spoke of a pastor’s wife. I asked her if she was a pastor’s wife. She was! How did I know that? When I share this with others four of them said it was discernment and three that it was a word of knowledge. I know/notice things about some people that I have never met, it is all very much a natural thing except it is beyond what I consider natural for me. I just don’t know where to draw the line at times. My discernment has been confirmed by another person that I had never met; he knew nothing about me except that we had seen each other from across the room at church. I was new to the church and the service that day was about the gifts of the Spirit. We were being paired off for the conclusion of this. I was not paired off with anyone but it seems God was not going to exclude me because this person came to me as if he was sent. He was a former associate pastor of another church and he confirmed how I was with Gods word, confirmed that I had wisdom, (God had recently told me that I had wisdom) and that I was powerful in discernment. I also have the Roman’s gift of teaching because God told me this and my pastor has confirmed several years ago. I feel that it is safe to say from my experience that the Gifts of the Spirit are not natural but are often manifested in a very natural way. I see and notice things beyond my natural abilities as God enables, it is like I am reading the person or surroundings to a greater depth than what is natural for me. It is sometimes like watching a low resolution video then it goes to high def. in a simplified what of illustrating it. There is more to it than time would permit. It is very likely that I will know if God is in it or suspect that a person is more than just a lone person such as having an accompanying spiritual parasite. I also seem to notice the hand of God in things or not. It seem it complement the ministry gift of teaching and wisdom, a good joining of the three, teaching, wisdom and discernment. In church today following the worship service I usually try to greet those who sit near me. Today after the service I turned around and noticed that this person was looking at me, staring would be better word. I reached out to shake the hand and he definitely hesitated. He did shake my hand but I could tell he didn’t really want to. Then he asked me what God was doing in my life and I responded, many blessings with my family, this church and other Christians. Then he said no, I mean personal with you specific. I felt that my faith was being examined. I had a very uncomfortable feeling talking with me as if he was testing me or trying to see what kind of faith I had. Its kind of crazy at times but when I get this feeling about someone, very, very few I have a distinct feeling that this spirit is not good. He was definitely unfriendly. My wife who usually says nothing about such things said that was really weird. It was like that haughty feeling you get sometimes. I then found out that he and his wife will be attending a new members class with me and my wife. I have a real uneasy feeling about this person as if he may be seeking membership to possibly start something in the church. Our new Pastor is anointed and he is doing really good things at church. People are following him to the Lord. Crazy I know and I wondered who I should talk with about this, Pastor, Elder? I am not a member yet, should I wait or is it OK to talk about this. I am kind of reluctant because I have read a lot about many people taking discernment not seriously. Thank you. Thank you for your comment and question. I would certainly speak with the pastor about this and tell him just what you told me. Perhaps this man is a new believer and thinks he is more gifted than he really is, besides, the spiritual gifts are not for judging others or trying to discern things in other people but spiritual discernment is primarily so that we will know error when we hear it, not that we will judge whether people are good enough or not. Talk to your pastor about this but bring your husband with you. Dear Kim, you have just described my situation to a T. I also believe I have the same 2 gifts and suffer the same way with my friendships. It irks people that I can sense truth from falsehood. I am not as well versed as you are in scripture but have taken to reading it more often so I am prepared in the future to put on the armor of God. I see that this is an older post so I hope you may see this. I will pray for you and myself too since it can be painful to be hurt by people who dont understand, Christians included.